Oh how I love the gals at eighteen25! Their Silhouette t-shirts absolutely rock my world! When I saw their latest and greatest St. Patrick's Day shirts, I got sucked in. 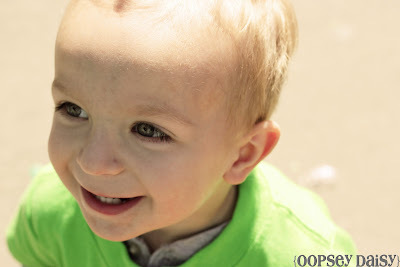 If you've been reading my blog for a while, you know I have a strange kind of addiction. 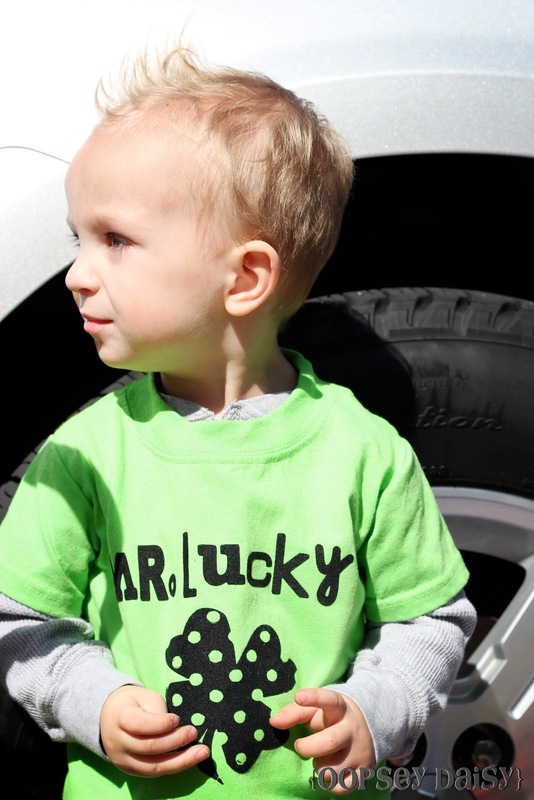 I always promise myself that I will stop making special occasion shirts for Little Man. But somehow, at the last minute, I always feel compelled to make some kind of shirt for him to wear. I simply designed my vinyl, cut it on the Cricut, and then followed the instructions to iron it on to the t-shirt. The flocked vinyl has a fun, velvety feeling to it. 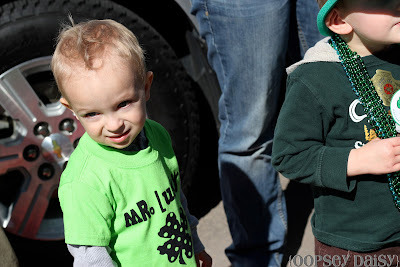 Little Man already wore this shirt Saturday at Denver's St. Patrick's Day Parade--which, by the way, was the best parade I've ever attended! Are you or your family wearing anything special for St. Patrick's Day? I just made my little ones shirts with a freezer paper stencil! I had NO idea I could use the Silhouette stuff on my Cricut! HA! Amazing! Thanks because now I totally have to buy some!!! Very cute! 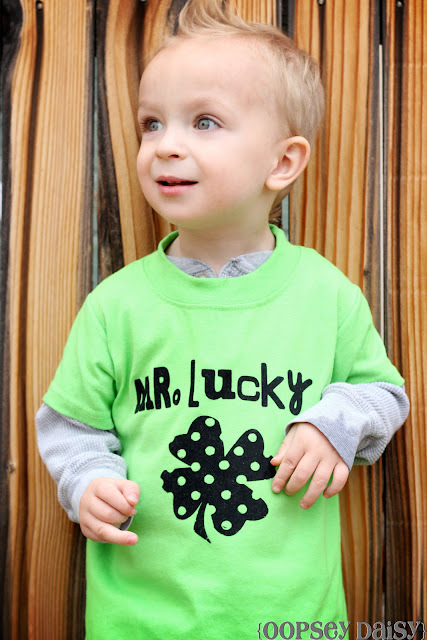 Love that polka dot shamrock. I totally use Cricut vinyl on my Silhouette sometimes. It all depends on what I can get a good deal on! I have some of this flocked Silhouette vinyl though. Now I'm itching to use it on something! Oh, and he IS so super lucky! What a fun shirt! I'd love for you to link up at my new Tuesday Time Out! Which is cuter? Your little guy or that shirt? I had all these plans to go to the DC parade, but had to fly to Utah at the last minute. 🙁 I missed the coolest parade and my husband didn't even take pictures for me. I love that shirt! I so wish I could buy one. I dont have a cricut or a silhouette. Now that is the cutest shirt ever! I just received a Cricut machine and am wondering what to do with it…thanks for the fabulous idea! Oh my goodness! I'd never thought about buying the Silhouette Products for my Cricut! DUH! 🙂 What a great idea (until Silhouette hooks you up of course)!! Do you just have the Cricut cartridges or do you have some of the software?